Westerners have long associated Japan with masks. In particular, the masks of the Classical Noh Theater, which have become, along with Mt Fuji and the Great Buddha of Kamakura, one of the iconic images of The Land of The Rising Sun. This came about not only because these masks are sublime artistic achievements- representative of Japan’s rich and unique cultural heritage, but also because they came to symbolize, for various foreign observers, what was taken to be (mistakenly, of course) the INSCRUTABILITY of the Japanese people. Numerous books related to Japan, whether scholarly, literary, or commercial, have their covers adorned with these instantly recognizable Nohmen (Noh masks), and the same images can be found on travel posters, brochures, etc. First time visitors to Japan, especially those who are here during winter or spring, cannot help but be greatly surprised, when they actually DO look around and find… a NATION MASKED! This is because no matter where one goes (in winter and spring), there are large numbers of masked people: masked men, masked women, masked children, masked families on outings, masked couples out for romantic strolls, people doing all sorts of jobs you would never imagine doing… while masked!! 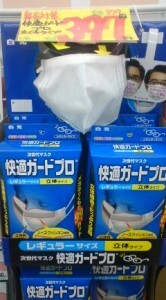 Masks on sale at drugstore in Japan- you are sure to find the best type of mask to meet your mask needs- whether to prevent colds or keep them from spreading, relieve allergies, protect oneself from pollution- or just keep anonymous! Well, the answer is… for all sorts of reasons. In spring, when masks are most common, they are used to protect the allergic minions from pollen, especially cedar pollen (after the deforestation which occurred doing the war, mountains were reforested almost exclusively with the fast growing cedar, which has become the bane of the hay fever suffering millions). Besides keeping out plant based allergens they can also be protection from yellow dust (kosa) which blows over from China, creating haze and irritating our noses and throats. Masks are still of course worn for the same reason they were when they were first sold to the Japanese public, way back in 1919: preventing the spread of colds, especially influenza. With the spread of the Spanish Flu and the deaths of tens of millions around the world, any rumor of oncoming influenza epidemics after that sent people to the store for a supply of masks. It was after the flu of 1934 that masks really became a standard feature of Japanese winters, as mask makers introduced a variety of cheap, comfortable and effective products (they had previously been cumbersome and had wires in them which would rust after being breathed on for a while). Masks are worn today by those who don’t want to catch a cold (students preparing for entrance exams, pregnant mothers, etc.) and in accordance with simple common sense and consideration in Japan, by those who have a cold, so that they don’t give it to others. Some just use the masks to keep their faces warm on cold and windy days (it works better than a scarf), or to keep their throats moist during Japan’s dry winters. 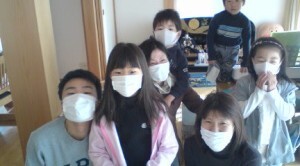 There are now many types of specialized masks available on the market: those which keep out pollen or yellow dust, those effective for the flu, etc. And let’s not forget one more important use they can be put to: helping one stay anonymous and inscrutable! Hi. The faculty room where I work is wall to wall desks. During last year’s swine flu epidemic, our school closed down completely three times because of the numbers of infected. This year, we haven’t yet had too much of a problem with the flu. However, given the fact that 100 faculty members are crammed into a room with virtually no space between desks, teachers tend to wear the masks for protection, and when they have a cold, for consideration for those around them. I will wear a mask out of courtesy when I do have a cold. However, my western upbringing makes this a slightly uncomfortable thing for me. I do feel slightly embarrassed when wearing a mask, and the slightly embarrassed is more pronounced on the days when the other “gaijin” teachers are at school. Intellectually, I understand the mask concept. With the condition specific masks on the market, it’s probably a good idea to wear one for both hay fever or colds, and especially for those desert sands blown in from China, but after all these years in this country, I still can’t feel comfortable in one. 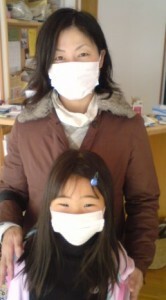 It comes down to this, when working with my Japanese colleagues, it’s embarrassing not to wear a mask when I’ve got a cold, but as a westerner, it’s embarrassing to wear one, especially when one of the western teachers is present. I’m wondering if anyone else feels this way, and in the same circumstance what does everyone do? At the moment I have not problem about hey fever and I have not accustomed to use masks. I don’t like to put on masks because I like fresh air also my glasses become cloudy with mask. During my life of around 70 years I don’t remember the time that so many people wear masks like recent years. As Avi-san wrote there were increasing numbers of Hay-fever affected people, it is said 1/5 to 1/4 of Japanese have got that problem (pollen of cedar, hogweed, mixed with yellow sand, etc. ).And Influenza are prosperous. If foreign people living in foreign country experienced inside very crowded tram-car in Tokyo during rash hour they can somehow understand mind of Japanese people’s need of masks. Recently many people do like to eat YAKINIKU with garlic-sauce. My naughty grandson now go to primary school with mask downside of his jaw everyday (he does not like put it formally to cover mouth and nose), I asked whether he got flue or something. He said he is OK but his teacher told all pupils to wear masks. Now I understand that may be there were guidance by the Ministry of Health or the Ministry of Education, or government of Ibaragi prefecture or City-office of Tskuba. May be such guidance has begun and continued after SARS-2002, or USSR-Flue 1977. Children then accustomed to use masks and they grew up now to be adults who accustomed masks. We really mask-liking people Gekkoukamen (Moonlight Mask),Tiger-mask, Kamen-rider (Mask rider ) for TV-heroes of boys. Excellent post. I must say I watch for new entries from you. I am exactly 60, myself, and you brought back great memories of when I was living as a little American girl in Kochi and then in Gifu. In both those places, we children always managed to find a friendly establishment that had a TV. I loved to watch Gekkoukamen and Kaijin Nijuumensou. In Gifu the udon shop across the street from my house always let the neighborhood kids sit around one of their tables to watch those shows…and Chirorin Mura to Kurumi no Ki. The udon shop owner kindly provided us with glasses of ice water in the summer. Every once in a while, our family would eat udon at the shop, as a way of thanking the owner for letting us watch TV. I’ve noticed lately that the masks for little kids often have cute cartoon characters such as Kitty, Doraemon or Pokemon on them. Many of the girls at the school where I teach decorate their masks themselves. I’m sure they are a big help with hay fever. Actually, I have noticed them catching on with westerners on international flights. I got somehow same experience like you to watch TV. My first experience of watching TV was at the nearby butcher’s house, Sumo and Pro-res(professional wrestling) in 1955, the room where TV set was installed was 10 tatami-sheets, crowded with more than 30 men and boys(not sure about girls), darkened by shattered-amados. Rikidozan-Endo Vs Sharp brothers. Those were very much exciting matches. I and my brother were lucky because the Butcher Kato-san recognized our family was a good customer and give us good place. Our father finally bought TV in 1957,my favorite program were “Papa wa nandemo shitteiru:Papa knows everything” ”Lone ranger” ”Raw Hide” since then until now I have watched so much American movies especially, Western. In my case I knew American History from movies more than books or schools?! Also I went to see movies by myself two movies in one week. Almost all were American, beside that I also saw many Japanese movies because the nearest movie theater presented set of one foreign movie and one Japanese movie, so I saw ZENIGATAHEIJI, KURAMATENGU, TANGESAZEN etc. My eyes always became wet when I watch mother-tales-movies of Mimasu-Aiko, and opened up my mouse by seeing beauty of Yamamoto Fujiko. My favorite movie was “For whom the bell tolls” ,Gary Copper has been my favorite male star and dance played by Cyd Charisse also dark eyes of Jean Simons charmed me. My eyes became a little bit itchy. 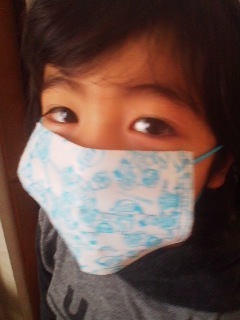 I am afraid of Hey-fever-symptom. Should I use eye masks or patches? But for what ? We lived during the same basic era, didn’t we. We got our first TV set when I was 12. That was 1963. My favorite program was “Tetsuwan Atom” and the whole family enjoyed “Abekku Utagassen” and “Shabondama Gekijo”. My dad enjoyed watching boxing (Fighting Harada) and sumo at the dentist’s office. He was great friends with the dentist and they would both sit in the dental chairs and watch TV together. The dental chairs were very comfortable. The dentist had 12 children and thee dental clinic was a fun place to play. We used to be able to play with the plaster molds and even had water fights on occasion with the water jets. The dentist loved children, obviously considering the number of children he had, and never scolded us too seriously. He worked at the Teijin Factory besides his own clinic, and would even sometimes take us children with him to Teijin. It was a kind, gentle age in those days…with so much community interaction. One interesting event was the marriage of the present emperor and empress. My mother was so fascinated with the event that she “borrowed” (not rented) a TV from a friend who had an electric shop. We had the TV for two weeks when we lived in Kochi. We invited the neighbors to the view the wedding and other connected events on the TV at our house. For two weeks our house was crowded with people. My mother made cookies, popcorn, and other “o-tsumami” type things and everyone had a great time together. Glad to share memories with you. I hope your eyes are feeling better. Thank you for your nice response. We are almost same generation (80%?). Play with the plaster molds and water fights with the water jets! May be amazingly amusing! How did you play with plaster molds? Making some dragon-like dolls with Froshiki? Covered with that masc with the jet waters? Such a big-father minded dentist! The marriage of Prince Akihito and Princes Michiko was quite a spectacle in 1959, I was 16, and a member of Rugby football club team as a scrum-half, always was dirty because of the muddy ground of a high school in middle of Tokyo urban area. I watched the ceremony in TV even it was held not so far from the school, TV covered all the procedure. 16 years later I saw them on a train trip to Tottori prefecture, there were more people in the side able to see Princes Michiko. Michy-boom! I also watch the movie of the coronation of Queen ElizabethⅡ in color when I was junior-high. Gorgeous! Nice feeling in Classic atmosphere. She was so young. Both event remind me “Kua, Kua, Kua” sound of wagon-horses-hoofs. I visited twice to Kochi as business and holiday trips in 1967, 1973. Katsuonotataki (Tosa-kind-grilled bonito: with lemon, soy sauce, sliced garlic) became my favorite, I learned to make my-style of salad-dressing from the taste of it. 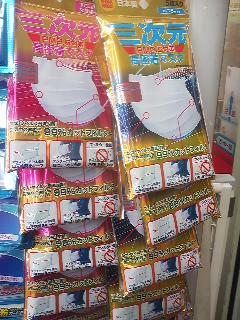 Nowadays we can buy Katsuonotataki every where in Japan. Good or not so bad? Tetsuwan-atom, first I met him in comic books when I was in primary-school, later I found him in TV. 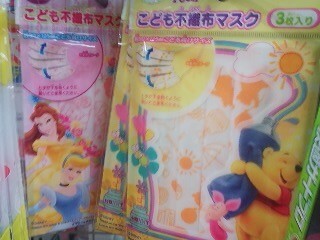 The inventor, big nose Dr. Ochanomizu has same name as my junior-high. I like Tezuka-Osamu’s comics very much those were more than comics. I had not watch TV late 60s when I was in the college staying in inn without TV or just had not TV as a single person studying very hard(?) until I got married. It is my great regret sometime I could not join chat with ladies about many famous TV programs of those times,nor about “Roses of Versailles”. Pity! Still Itchy eyes.